Screenings - Capital Area Speech & O.T. School, Preschool & Daycare Directors: Please call us to schedule your school for screenings. Screenings are conducted on-site, once approved and scheduled by the school. Schools may choose what type of screening package to offer. Various packages are available depending on the need of the school and ages of the children. We will come on sight for as few as 2 children or as many as an entire program. Parents: To schedule your child to be individually screened at our office, or to request your child’s school be added to our screening list: please call or email. 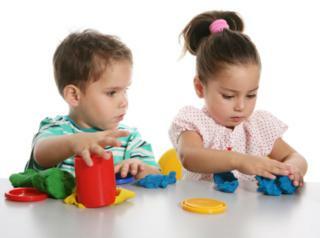 Developmental screenings are very helpful in identifying children who may be at risk for hearing loss, vision impairment, speech and language disorders, and motor and sensory processing disorders. As many as 1 in 5 children will be diagnosed with a speech and language disorder. As many as 1 in 6 children will be diagnosed with a motor or sensory disorder. Speech, language, motor and sensory disorders get in the way of allowing a child to succeed academically and socially. These difficulties may also produce challenges in every day living for both the child and family. Research shows us that when intervention happens early, the outcome is better.